What did the update do? On the outside, it looked like in some groups hundreds of members had been removed. On the inside a different story – as you know, you can Add people to groups without their consent. 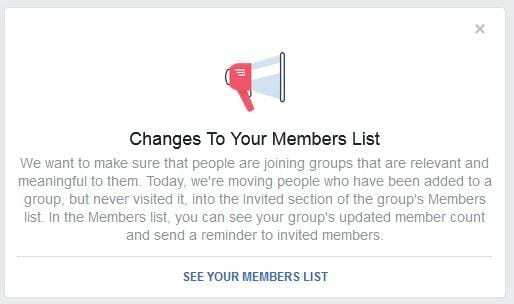 This is something of an annoyance across Facebook, where it’s so easy to add new members to groups that they might never be interested in. This update simply moved people who had been added into groups but NEVER visited, into an “invited” section. This allows admins of the group to send reminders to the invited members, asking them to either “join” properly, or they can be removed. It’s a great move in our opinion as far as Facebook is concerned.